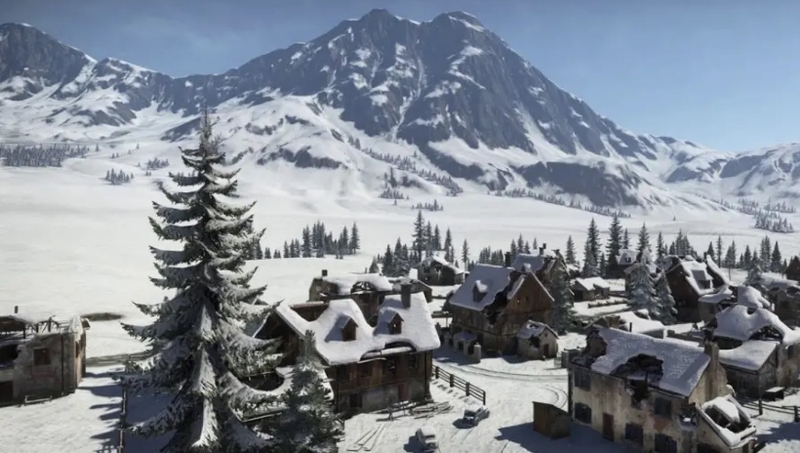 Vikendi, the frostily-themed new PUBG map, will undergo a rebalancing patch in an upcoming update, one which is designed to tweak the rate of item spawns. The news was announced in a dev letter yesterday evening, which explains the planned changes and the rationale behind making them. First up in the list of changes is the SMG category of weapons. Vikendi was built with these weapons in mind, and the initial spawn rate was designed in such a way that players could gear up reliably quickly in this direction. The current arrangement feels a little too unbalanced to the team, however, and so the drop rate of Tommy Guns will be reduced by 52%, while a new SMG weapon - the Bizon - will be added to compensate. Meanwhile, the overall spawn rate of Assault Rifles will be increased by 20% to add further balance. Next up is the DMR category. These immensely powerful weapons have even greater utilitarian power on the specific map design of Vikendi, and as part of the rebalancing push the spawn rate will be reduced by an undisclosed amount. Sniper Rifle rates will remain as they are, however. Further changes are being made to the loot tables for Level 3 Helmets - reduced by 49% - and Level 3 Armor which will spawn at a 36% reduction. More Backpacks will become available too, while Sniper Rifle attachments will become 40% scarcer. If you'd like to read some of the nitty-gritty detail on the thinking behind why all these changes are being made to Vikendi, head over to the official announcement for full insight from the developers.